Ein halbes Jahrtausend Nürnberger Musikgeschichte: Vom echten Meistersinger Hans Sachs bis in die Gegenwart entsteht hier der tönende Bilderbogen einer bemerkenswerten Stadt. When the city of Nuremberg celebrated the 500th birthday of its famous son Albrecht Dürer in 1971, Colosseum’s contribution to the general festivities was a musical presentation that brought together in a concise yet informative way half a millennium of the city’s musical history. Starting in the time of the real mastersingers grouped around Hans Sachs, the panorama extended into the present day with the latest works by the avant-garde composers Werner Heider and Klaus Hashagen, both of whom have, in the course of their creative careers, achieved recognition far beyond their home city. 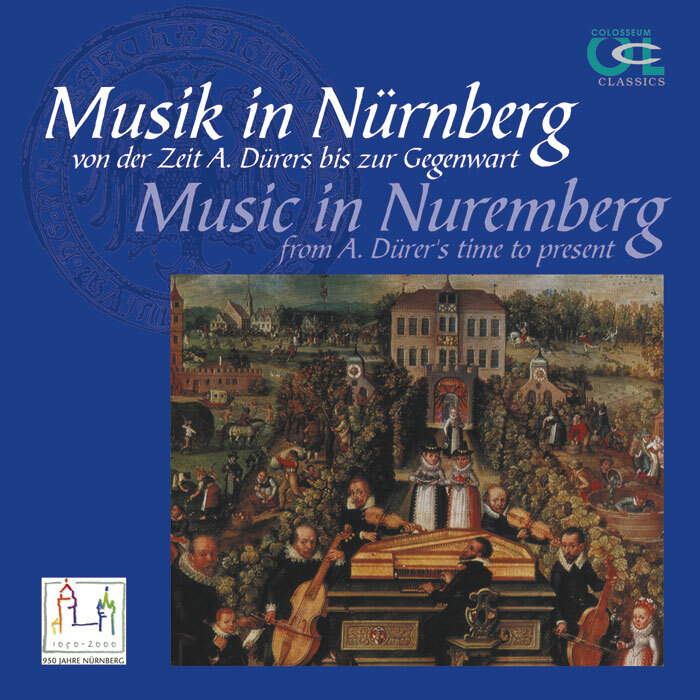 This complex production has been available for some years in a carefully edited CD. The programme, which remains unaltered, is a fascinating little journey in time in which Sigmund Theophil Staden’s Seelewig, the first surviving opera in German, deserves as much attention as the overture to the opera Demophon by Mozart’s contemporary, Johann Christoph Vogel. Then there are the delightful suite Alt-Nürnberg by Willy Spilling, written in 1939, the septet by the organist and composer Werner Jacob, the trombone concerto –einander by Werner Heider with Armin Rosin as soloist, and finally Klaus Hashagen’s mobile szenen 1 for percussion performed by Siegfried Fink, one of Germany’s top percussionists. The recordings have been produced using the very latest technology.